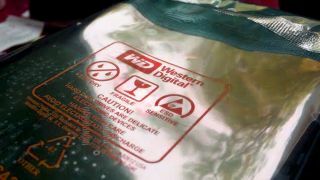 Western Digital and SanDisk are in the final steps of becoming one, as the digital storage giants announced today that they have all the a-okays needed to complete their merger. WD began plans to buy SanDisk back in October of last year, offering up a cool $19 billion for the flash-memory manufacturer. The two companies received the last bit of necessary approval today from China's Ministry of Commerce, making the purchase official as of this coming Thursday, May 12. "We are pleased that the final regulatory approval has been received," said Sanjay Mehrotra, SanDisk president and CEO. "We can now proceed with the planned combination with Western Digital." While the move could prove a boon to both companies and its stockholders, what does the fusion of WD and SanDisk mean for the average consumer? Not much, for now. Both companies are based in the US (in the same state of California, even) and SanDisk will be operating as a wholly-owned subsidiary of Western Digital with minimal change to the company's day-to-day operation, as was the case when WD acquired HGST this past fall. Also, while WD and SanDisk by their powers combined are a force to be reckoned with in the storage game, the companies are by no means a monopoly - Kingston, Toshiba, Seagate, and Samsung still remain competitive with their own lines of hard drives, solid-state drives, and USB memory sticks. Now that the companies can put their heads together, we will see what Western Digital and SanDisk do, especially as demand for high-capacity storage rises and competitors like Samsung are cramming laptop-levels of storage into smartphones.